We get it – there’s a lot to do when you move into a new flat. Between packing up all of your things, arranging for movers and cancelling any services at your old flat, moving can quickly become an overwhelming task. It’s easy to understand how one key step in the moving process gets overlooked! Many times, new tenants forget to take a picture of the meter when they move into their new flat. But forgetting to do this one key task can end up costing you a lot in the future. The Utilities Disputes Commissioner, Nanette Moreau, can recall numerous cases of new tenants receiving high power bills after moving into a new flat. Normally, this is due to previous tenants not properly closing their accounts. The new tenant suffers by receiving a super high bill and possibly even a disconnection notice. New tenants that complete their due diligence can save themselves a lot of headaches down the road. The best way to avoid the stress and headaches involved with a utilities dispute is to open and close your account correctly in the first place. Upon moving in, snap a photo of the meter display. Make sure the numbers are clearly displayed in the photo. Compare energy rates on https://switchme.co.nz/ from different providers. Use the online comparison calculator to instantly see what your options are regarding energy providers. Choose which energy provider you will be going with and set up your new account. Sit down with your flatmates and decide how paying power bills will be handled. Document this arrangement in writing! After receiving your first bill from your energy provider, review it carefully. If you have any questions, contact your provider. When you decide to move out of the flat, take a photo of the meter display. Call your energy provider to properly close your account. Remember: the person named as the account holder is responsible for all future bills. That’s why it’s important that you document your payment arrangements in writing with your flatmates. If the account holder moves out, ensure the account holder details are updated with your provider. The majority of New Zealand’s electricity generation comes from renewable sources. Although most is generated from hydro-electric stations, some electricity is also produced from gas, geothermal, coal, wind, diesel and solar. The wholesale market is where electricity retailers buy their power from. Every half hour, prices are calculated to be sold on the wholesale market. These prices can vary widely depending on supply and demand. Transpower, which owns and operates New Zealand’s national transportation grid, transmits the power from where it is generated to the local transmission grid. This electricity is transmitted at high voltages – up to 220,000 volts! Not all industrial sites get their power this way; some of the larger ones connect directly to the national grid. 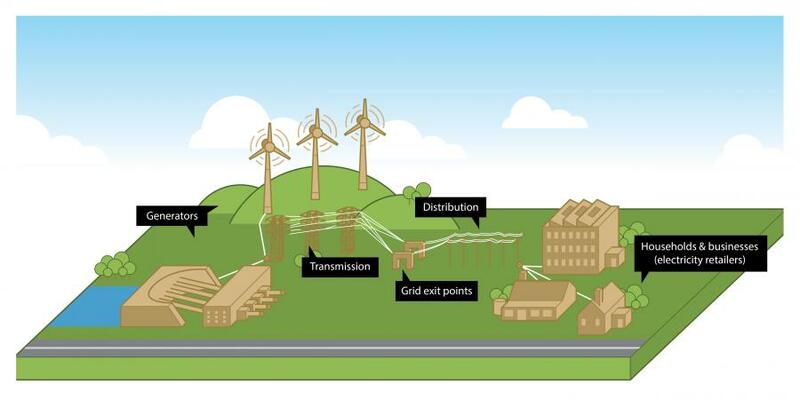 Using overhead wires and underground cables, the power is delivered to homes and businesses using local distribution networks that are connected to the national transmission grid. Since New Zealand has a competitive retail market for power suppliers, consumers are given the choice to buy their electricity from various companies. There are a wide range of retailers and electricity plans available to choose from, depending on what’s available where you live. To get the best rate possible, consumers are advised to check out all their options prior to committing to a certain retailer. The electricity meter at your home records the amount of electricity used, so consumers can be billed accordingly. Now that you understand the process behind getting the energy to your home, are you interested in learning how to lower your energy costs? Switchme is New Zealand’s largest non-government funded energy switching site. By processing energy comparisons and giving free, independent advice, we help customers get a better deal on their energy bill. 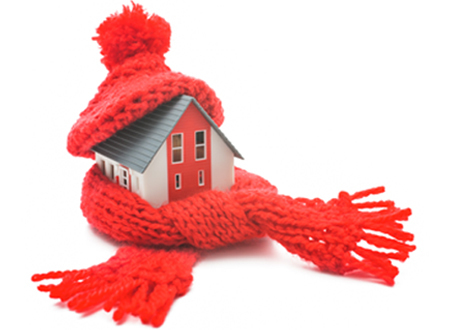 Contact us today to learn how you, too, can save money on your energy costs! The Electricity Authority is currently investigating a price spike that hit early in June which was the highest spike in three years. It comes amid concerns that consumers who are on wholesale price-based plans could be in for an pricey winter. Nigel Brunel, director at commodity firm OMF, said prices between 6pm and 7.30pm were near $4000 per megawatt hour (MWh), compared to an average $52 per MWh in the South Island. "For a consumer who is on a wholesale price plan and was heating their house and cooking dinner at this time they would have paid an extra $20 for electricity last night," he said. Companies such as Flick offer consumers power based on wholesale rates. This means they can achieve good savings when power is plentiful but are exposed to price hikes like this. Following the closure of the Otahuhu and Southdown power stations last year there is less supply to meet demand on cold winter days, which makes price spikes like this more likely. Consumers in 14 regions around the country can expect to pay more for their electricity, as a result of an overhaul of pricing for the national grid. But this also means good news for 15 other regions who should pay less under the proposed changes. The Electricity Authority (EA) has released its preferred option for a fairer way of paying for the national grid. Access to the grid, provided by state-owned monopoly Transpower, makes up about 10 per cent of the average household power bill. Under the EA's preferred option, released on Tuesday morning, some regions will have to pay more for the benefit of better infrastructure. The overall impact on residential prices would be an increase of 0.5 per cent, or $11 per household per year. The biggest increases would be worn by those in Auckland, Northland, Ashburton and the West Coast. Lower prices: Invercargill, South Canterbury, Central Otago and Dunedin, Hawke's Bay, East Coast, Queenstown, North Canterbury, Marlborough, Tasman, Christchurch, Western BOP/Taranaki, Tararua, Southland, Rotorua, Waikato North, Wellington. Higher prices: Ashburton, West Coast (Westport), South Auckland, Eastern BOP, Waitaki, Whangarei, Waikato, Northland, Auckland, West Coast (Hokitika). No change, or not yet clear: Horowhenua, Otago, Hamilton. A big change for the electricity industry is in the pipeline, with an important announcement from the Electricity Authority due at 10am tomorrow 17 May 2016. At stake is who pays the $1 billion a year that it takes to run the national grid. At present, 9.9 percent of a typical power bill goes to Transpower to meet that cost. That percentage is the same for all consumers, whether they live at the far end of a 1000km power line or just down the road from a hydro dam. A paper presented last year by the Electricity Authority took exception to this, suggesting that people who benefit most from a service should pay the most for it, and that cross subsidies can hinder sensible investments. The paper suggested reforms could produce better efficiency by providing incentives so that the right investments occur at the right time, and in the right place. That paper was opened up to submissions, and the Electricity Authority's response to them will come out tomorrow. Andrew Harvey-Green of the broking and research firm Forsyth Barr said industry response to the proposed changes was favourable and it was likely the one-size-fits-all model would be changed. In its proposal last June, the authority estimated some power bills would fall and some stay the same. However Auckland and Northland would pay 4.5 percent more and the Far North and the West Coast 10 percent more. But it said consumers in the North should remember they were the beneficiaries of more than $1.3 billion of transmission investment in recent years. As a result, Auckland had higher levels of reliability than the rest of the country, which was costly to provide, and Aucklanders were clearly the beneficiaries of that reliability. Consumers in the South Island will save money from the changes, including the aluminium smelter, which could save $50 million a year. However, Forsyth Barr's Andrew Harvey-Green suggested a compromise version could cut the smelter's benefit to $30 million. This week's announcement is expected to support the principle of change, but hone down several options to a preferred one, which will then be opened for further public debate. However whatever is finally chosen could be challenged in the courts and could take years to implement.